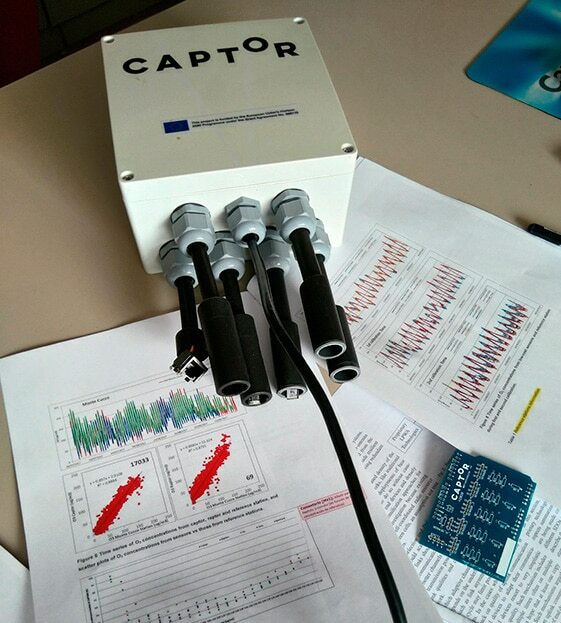 European Union project CAPTOR measures tropospheric ozone in areas where levels usually exceed regular values. 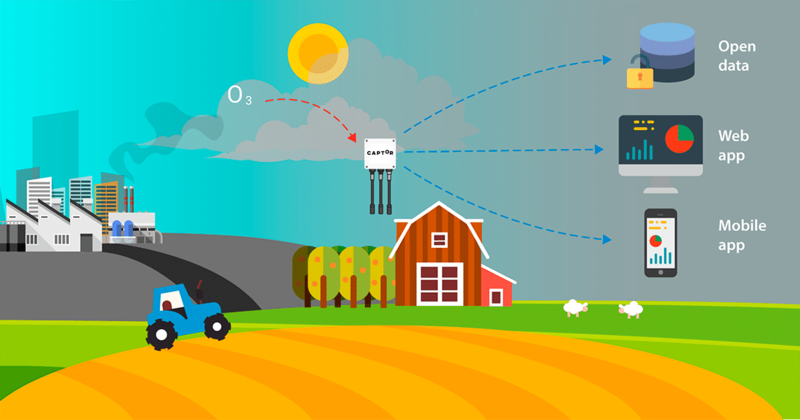 Libelium sensors are used to control air quality in rural areas and real-time information of the Captor nodes can be consulted using the captorAIR app. 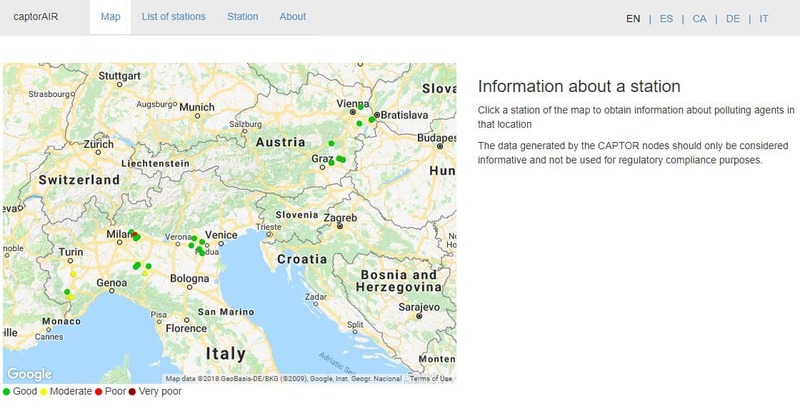 The UPC (Universitat Politecnica de Catalunya) is leading the Collective Awareness Platform for Tropospheric Ozone Pollution (CAPTOR), a platform which uses Libelium’s IoT technology to monitor tropospheric ozone as well as other secondary pollutants (NOx and VOC). Ozone is a greenhouse gas, often considered the “forgotten pollutant” because its effects are felt far from the areas that cause it. But ground-level ozone is primarily an air pollutant, which is of high concern in Europe. The polluters (the urban population) do not suffer the degradation of the air quality caused by their gas emissions, whereas the rural population (which has a limited ability to control the emissions) breathes degraded air. Due to this decoupling between the sources and the effects of tropospheric ozone, it usually receives less attention than other pollutants such as particles of sulfur dioxide (SO₂) and nitrogen oxides (NOx). Libelium’s wireless sensor platform Waspmote is extraordinarily flexible and has been designed to work in many different IoT smart cities projects: measuring polluting gases levels, controlling particle pollution, light intensity levels or even noise pollutionfrom road traffic, industry and construction. The devices, which has been inspired by Libelium’s Waspmote Plug & Sense! Smart Cities PRO line, have been managed and maintained jointly by the Institute of Environmental Diagnosis and Water Studies (IDAEA) of the Spanish National Research Council (CSIC) and the UPC. 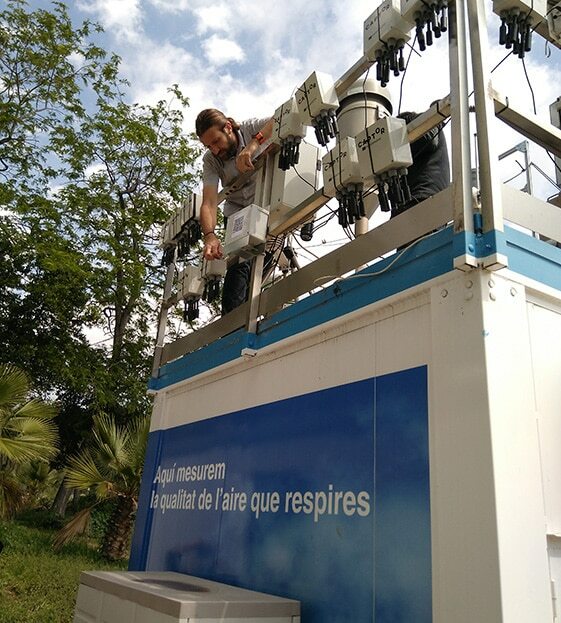 Three ozone measurement campaigns are planned for the summer period (2016-2018), when tropospheric ozone reaches the highest concentrations. In the first year, 2016, the campaign was only carried out in Spain, in order to test the system and the tools for publishing the data. 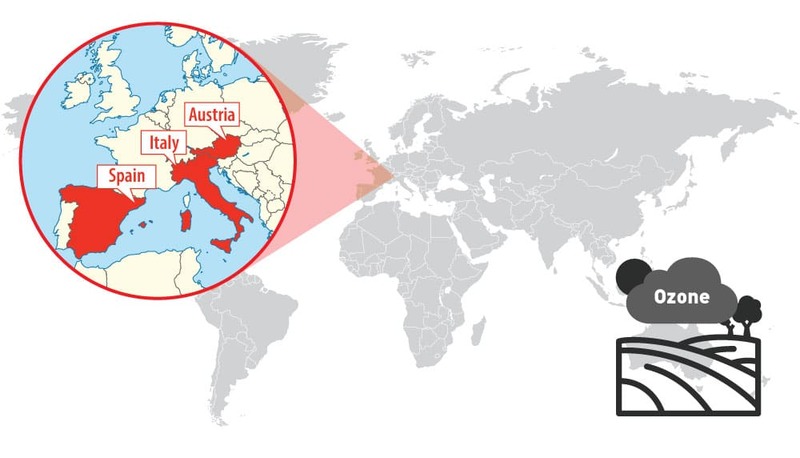 In 2017 and 2018 the campaign was carried out in private houses of volunteers from three countries: Austria, Italy and Spain. 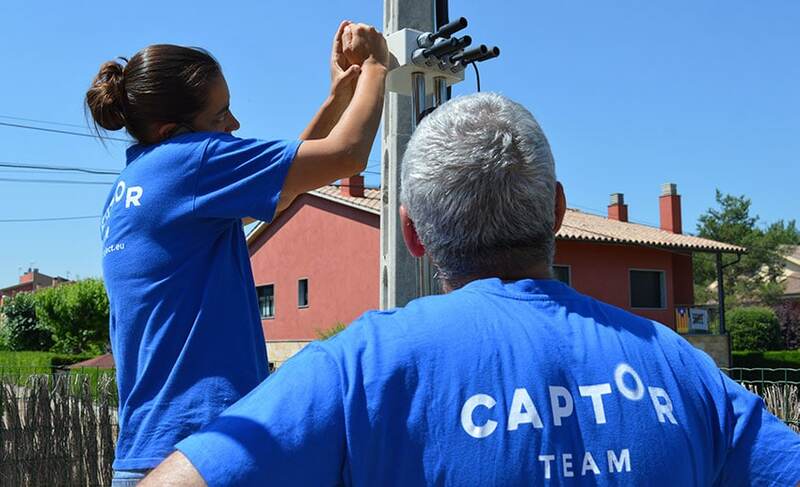 In the CAPTOR project, citizens and scientists work closely together to monitor and address the problem of ozone pollution in Europe. In fact, the goal is to promote grassroots collaboration between local communities, citizens, NGOs and scientists in order to find solutions to the problem of air pollution and to reinforce the citizens’ awareness of their right to clean air. For technical details on Smart Environment PRO/Gases PRO Board Guide: Gases PRO v30 Board Guide. For technical details on Smart Cities PRO sensors: Smart Cities PRO Board Guide.